In other words, the ability to “predict” the future is linked heavily to one’s ability to see and understand not only the past, but how our aspirations and motivations as humans cause us, and with us our society, to change. Change is the greatest opportunity for new innovations and new business models, and understanding the human aspirations behind change can help us see what is coming. So, a student of human aspiration is in a unique position to understand the evolution of human wants and needs. The book is an incredibly interesting exploration in product design in the fully connected world: the so-called “Internet of Things”. How should we as designers and creators of products enable fully connected experiences through our products and services? You can read the whole book online for free here, or you can buy the print version from Amazon here. 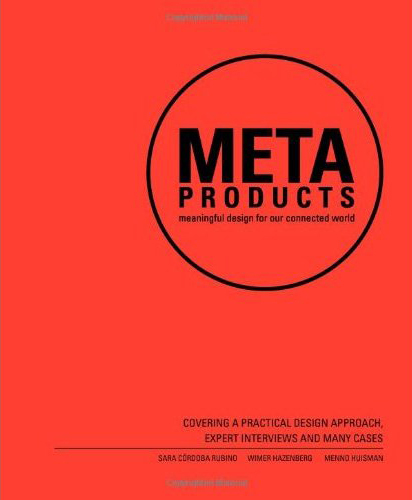 This entry was posted in Product Design and tagged Design, internet of things, meta products. Bookmark the permalink.